Want More Information on Judges? When voting, we try to educate ourselves as much as possible when electing our representatives in the executive and legislative branches . However, when it comes to the judiciary, we may not know how to look for information. In Washington State, as in most states, judges are elected. Perhaps you have questions about the process. Or maybe you wonder why we elect judges rather than appointing them. Did you know that there are judges on the ballot this November? Voting for judges can be tricky. It is sometimes hard to understand what criteria is best to use when evaluating judges. A helpful on-line resource, Votingforjudges.org, answers all your questions about the judiciary in Washington. This website was started by a nonpartisan coalition of bar associations and other law-related groups to provide important information about judges. Find out about the judicial elections in your area by clicking on the "Show My Elections" tab. Not only will you find each candidate's resume, but you can see what organizations endorsed certain candidates. Find out which candidate is best for you. And remember to vote on November 4th. Research is important when you're looking for a job (as well as for when you're in a job), and the library can help. Last week we posted a new guide, Government Work, and updated two others, Fellowship Opportunities in Law and Getting the Scoop on Jobs & Careers. Briefcase image from U.S. Patent and Trademark Office (Patent D566,394). October is National Work and Family Month. See H. Res. 1440 (Sept. 28, 2008). Consider your whole life when you think about your career plans -- where do you want to live? what sort of schedule do you want to have? do you want lots of challenges every day? do you want predictability? flexibility? excitement? security? JD Bliss, "a blog for attorneys seeking career satisfaction, work/life balance, and personal growth." Work/Life Balance articles from the ABA Journal. It's Harder in Heels: Essays by Women Lawyers Achieving Work-Life Balance, KF299.W6 I87 2007 at Classified Stacks. Excellence in the Workplace: Legal & Life Skills in a Nutshell, KF297.Z9 K38 2007 at Classified Stacks. The Creative Lawyer: A Practical Guide to Authentic Professional Satisfaction, KF300.Z9 M45 2007 at Classified Stacks. The Lawyer's Guide to Balancing Life and Work, KF300 .K38 2006 at Classified Stacks. Stress Management for Lawyers: How to Increase Personal & Professional Satisfaction in the Law, KF300 .E49 2007. Of course just because October has been designated Work and Family Month doesn't mean that it's the only month for thinking about these issues. Start now, and keep it up! Election Day is just around the corner! On November 4th we encourage you to exercise your Constitutional Rights and vote. Don’t know your precinct? Don’t know which district is yours? Don’t know what candidates are running? Don’t worry! Many of you may be new to Washington State. Perhaps this is the first time you have voted here. If you have already registered, you can find out everything you need to help you make an informed decision on the Washington Secretary of State’s website. Click on the "my vote" icon on that page and you are on your way. Enter your name and birthday and your voter registration information pops up. If you use the drop down menu labeled "voter's pamphlet" you can find out all you need to know about which district you are in and what candidates represent your area. By clicking on each candidate's name, you can read about each candidate. Additionally, you will find the exact wording of each initiative and arguments for and against their implementation. If you are a resident of King county, visit their election website for more details including the address of your polling place and the locations of ballot drop-boxes for early voting. Still have questions? Check out the official Voter's Guide and you will discover all of the answers to your questions about the voting process. Don't let lack of information keep you from the polls. Get out there on November 4th and let your voice be heard! The Washington State Bar Association invites you to create a short video (3 minutes max.) showing "your vision of justice for all as citizens of Washington state." Not only do you get to use your creativity and express yourself, but you also will be in the running for two $1000 prizes -- one to be selected by a panel of judges and one People's Choice winner. You might even get both! Details about the contest are here. The deadline for posting entries on YouTube is June 15, 2009. A lot of people think that law libraries are packed to the gills with really boring, dry books. Admittedly, we have our share of those. But we also have a lot of stimulating and compelling works. Our LibraryThing "library" highlights some of them. Contrary to the proverb, you can judge books by their covers. LibraryThing lets you do just that, as well as find comments, reviews, and ratings. You can add your own reviews and ratings too, if you set up a (free) account. This new report recommends 31 actions that the federal government can take to reduce the impact and incidence of identity theft. This document follows the Task Force's 2007 Combating Identity Theft: A Strategic Plan. Available in the Law Library: HV6679.U55 2007 at Classified Stacks. Justice Is Still a Constant Struggle: The National Lawyers Guild in Action (JC571.J87 2007 at Classified Stacks). We appreciate Ms. Ginzberg's generosity. Pulp Ethics: Criminal Lawyers' Ethical Dilemmas (KFC76.5.A2 P85 1985 at Classified Stacks). This is a multimedia fictional case study produced for California's Continuing Education of the Bar. designed to help legal employers understand both the conscious and unconscious discrimination lesbians and gay men encounter within the legal profession. This film is intended to raise more questions than it answers. It is not a "how-to" guide for elminating discrimination based on sexual orientation within the legal workplace. Rather, it is recommended for use in group settings as a springboard for directed discussion. To make the film, Ginzberg interviewed over seventy-five lesbian and gay attorneys (and, as we saw in the clip Tuesday, at least one transgender attorney). Don't have a VCR? The group study rooms and classrooms do. We also have a VCR in the Reference Area that you can use with headphones. The Legal Times reported Tuesday on Chief Justice John Roberts Jr.'s seemingly whimsical experiment in opinion writing in the style of a hard-boiled detective novel. Dissenting from the denial of review in Pennsylvania v. Dunlap, Roberts painted a noir setting in which police officer Sean Devlin, working in a Philadelphia neighborhood that is as "tough as a three-dollar steak," suspects defendant Nathan Dunlap of selling drugs after viewing a transaction in which Dunlap exchanges small packages for cash. "Devlin knew the guy wasn't buying bus tokens," Roberts wrote in his new literary style. Sure enough, Devlin had sold three bags of crack, and he was arrested. It made for unusually riveting reading, but not everyone was entertained, it turns out. Blog commentary here and here includes some criticism of Roberts' tone as dismissive of the defendant and the issue he raised. Orin Kerr suggests that the Chief Justice might have been trying to do more than entertain: perhaps he hoped to bring more attention to the denial of cert to get the attention of lower court judges. The Electronic Frontier Foundation is the host for the Internet Law Treatise, a wiki-based "collaborative treatise summarizing the law related to the Internet with the cooperation of a wide variety of attorneys, law students and others." The Internet Law Treatises is based on Perkins Coie's 2003 based upon the Electronic Media and Privacy Law Handbook. tells the real story of the USA Patriot Act. 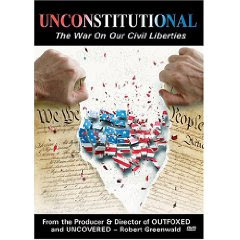 Melding personal stories with words from the experts, the interviews invariably illuminate the assault that has been launched by the Bush administration against the rights that are guaranteed by the Constitution, principally using 9/11 as an excuse. Executive Producer Robert Greenwald. Produced and Directed by Nonny de la Pena in association with PIP. 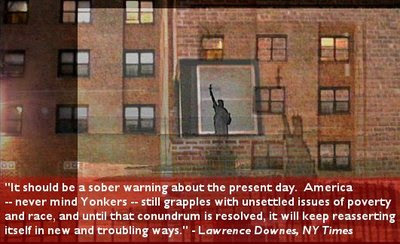 tracks the resulting federal US v Yonkers litigation, which challenged neighborhood and educational discrimination. Coming back out of the courtroom into the community, the story describes the bitter local confrontation about race and the very concept of community that follows. From a first person perspective, characters weave a tale of years of work attempting to achieve justice, with a labyrinth of successes and setbacks that the struggle entails. At its close, Brick by Brick shows what has happened both to a community and to individual citizens, committed to their city. It also illustrates the difference housing opportunity can make in a single family’s life. The story brings the fiery legal and political crucible of a contemporary city and its larger implications for our nation today onto the screen. It's in the library: HD7288.76.U5 B75 2007 at Classified Stacks. Dates range from 1995 to 2000. How do you come up with good ideas for papers? Addressing this perennial problem, we've developed a guide with some ideas, such as looking for circuit splits or searching law-related blogs for new developments. See Writing for & Publishing in Law Reviews. 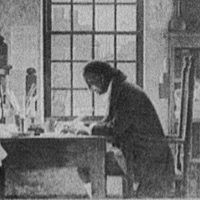 Graphic: Benjamin Franklin from Library of Congress. traces the history of the struggle to rid the workplace of occupational hazards. Using archival footage, union songs and interviews, it tells its story both from the point of view of the labor activists and those within the medical profession who became their advocates. The fight for occupational health began almost one hundred years ago with Dr. Alice Hamilton's discovery of lead-caused industrial disease. She was followed by others such as Dr. Harriet Hardy of M.I.T., who discovered the dangers of beryllium. More recently, Dr. Irving Selikoff uncovered the danger of asbestos to workers and publicized his findings despite pressure from the asbestos industry to silence him. It's being processed, but it will soon be available at HD7654 .T57 1989 in the Classified Stacks. Did you know that the Gallagher Law Library website offers more than 125 legal research guides? Many of these guides are updated when the reference librarians give presentations for the courses for which the guides were originally created. New guides often spring from presentations we give for the first time. For instance, students on the Shidler Journal of Law, Commerce + Technology requested a session on establishing links to reliable and stable free websites with primary law sources like constitutions, statutes, and cases. The presentation was given today and a new guide, Links to Primary Law Sources on Free Websites, was created. A recently updated guide on Genetics & the Law was built for several courses taught by Prof. Anna Mastroianni. Yesterday I promised to highlight some documentaries in our collection. Today's is The Judge and the Fanatic: Koranic Duels Against Terror, BL65 .T47 J83 2007 at Classified Stacks. 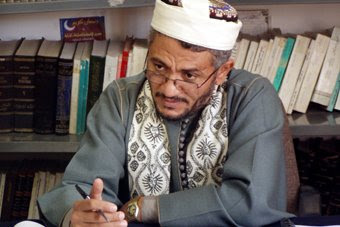 The interpretation of Islamic texts [is] the focus of Yemeni Judge Hamoud al Hitar and his Religious Dialogue Committee, which seeks to rehabilitate the most hardened Islamic radicals through a close reading of the Qur'an and the sunna (traditions from the life and teaching of the Prophet Muhammad). Tom Meffert's richly insightful documentary explains how agents of terrorism have systematically sought to change the meaning of Islam to suit their own ends. Far from being a fiery text full of blood and revenge, many of the Qur'an's 124 verses advocate tolerance, peace and hospitality, and advise that non-Muslims should be treated with charity and respect. It is this that the judge tries to make clear to the disaffected young men of his country turning to extremism. Yemen's war of words with the dark heart of terrorism has enormous implications, not just for that country, but the larger world as well. The Bureau of Justice Statistics has released a summary report on federal criminal statistics for 2005. "The report provides data on the number of persons arrested, investigated, convicted, and sentenced for a violation of federal law. It includes the number of offenders under federal correctional supervision at the pre-trial and post-conviction stages. It also describes case outcomes, including percent prosecuted, convicted, and sentenced by type of sanction." More detailed statistical tables are also available. This week's Social Justice Tuesday speaker was Abby Ginzberg, a lawyer turned documentary filmmaker. To follow up on the enthusiasm in the room, I'll feature some of films in our collection in the next several days. Today: Well-Founded Fear, a look at the system for granting asylum. KF4836 .W45 2000 at Classified Stacks. At 3:30, there will be a showing of her film, Soul of Justice: Thelton Henderson's American Journey. Is Solo Practice for You? Did you know that about a third of American lawyers are in solo practice? * If you think solo practice might be for you down the road, it doesn't hurt to start learning about it now. Here's a checklist of questions, Should You Go Solo?, excerpted from Deborah Arron, What Can You Do with a Law Degree? A Lawyer’s Guide to Career Alternatives Inside, Outside & Around the Law, KF297 .A872 2004 at Reference Area (two copies) and Classified Stacks (one copy). I'm a fan of Carolyn Elefant's blog about solo practice, MyShingle. She has interesting commentary, reflections, tips, and links to resources. Her Online Guide is a goldmine. This year, Carolyn published a book, too: Solo by Choice: How to Be the Lawyer You Always Wanted to Be, KF300.Z9 E44 2007 at Classified Stacks. The book is enriched by interviews with lots of solo practitioners (including Seattle lawyer D. Jill Pugh). The ABA's General Practice, Solo & Small Firm Division has lots of information, including archives of its magazine, GP|Solo. The ABA also publishes Jay Foonberg's How to Start and Build a Law Practice (5th ed. 2004), KF300.Z9 F66 2004 at Reference Area. See this short review from the Law Library News. *See the ABA's fact sheet on lawyer demographics here. 74% of lawyers in 2000 were in private practice. 48% of lawyers in private practice were solo. Did you miss the PBS series on the Supreme Court? Not to worry: you can check it out from the Law Library, KF8742 .S856 2007 at Classified Stacks (4 DVDs). Or you can click around on these interactive pages from the companion website. Can you place 10 landmark cases on a timeline? Looking for ways to become more efficient using Word? We've assembled some tips, covering some little things (like how to make a §) and some more advanced tasks (e.g., creating cross-references among footnotes). Take a look at our guide, Word Tips to Make Your Life Easier. Welcome to the Next Generation of the Law Library News: Gallagher Blogs. The Gallagher Law Library has published a Law Library News column in the University of Washington School of Law newsletter, The Crier, for many years. In this new format, we will continue to share Library news, legal research tips and tools, and other information for the faculty, students, staff, and visitors of the Law Library. Add our blog to your RSS feeds, or read new posts on the Law Library website.